I've "walked the walk" and.... still do. When I was in my late sixties, I decided to switch from decades of running-- to walking---- but at a faster pace. I'm convinced that fast walking-- on a regular basis-- is the best exercise for over-all good health. Sure, I miss running and always will but, after a series of serious incidents, I quickly realized that running outside---the only way I love it----was unpredictable and--just possibly-- unsafe. So....I switched to fast walking which allows me to keep the same schedule and still be outside. To be honest, running with a concealed weapon isn't easy and certainly not fun-free. I don't take medicine, haven't had a cold in years, and never have the flu (no flu shots-ever). And, I stopped having migraine headaches after I developed a daily running schedule. Believe me, It's not a "stroke of luck" or merely "a coincidence" that my daily runs and now walks have helped me remain healthy, year after year. I'm not bragging...only sharing what works for me. 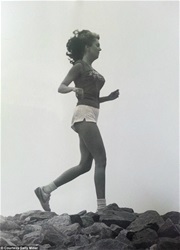 Remember, I grew-up sickly, had horrible migraines, stomach viruses, nervous problems but...it was only after I began running--in the mid-sixties-- that I was able to throw-away the tranquilizers, pain meds, allergy injections, prescription drugs....and start living! 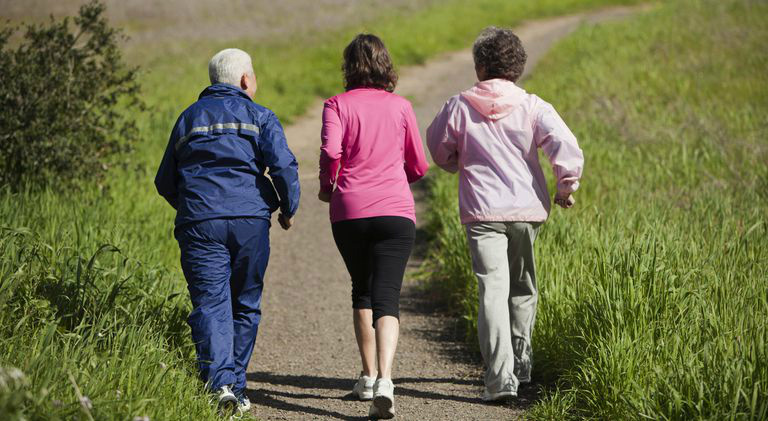 "Walking at an average pace was linked to a 20% reduction in the risk of mortality compared with walking at a slow pace, while walking at a brisk or fast pace was associated with a risk reduction of 24%, according to a new study. A similar result was found for risk of dying from cardiovascular disease. It’s not too late to start. In fact, the benefits were far more dramatic for older walkers. Aand population health at the University of Sydney’s Charles Perkins Centre and School of Public Health.verage pace walkers aged 60 years or over experienced a 46% reduction in risk of death from cardiovascular causes, and fast pace walkers a 53% risk reduction, the study found. These findings appear in a special issue of the British Journal of Sports Medicine, dedicated to walking and health. " Trust me. It's never too-late to start a new life. I speak from experience.